During yesterday's Nintendo Direct presentation, while detailing the upcoming Switch Online subscription service, Nintendo promised more details in the future regarding special offers that would be available exclusively to subscribers. This morning we learned about two of them. Splatoon 2 players who subscribe to Switch Online for a year will receive a download code to unlock exclusive gear. 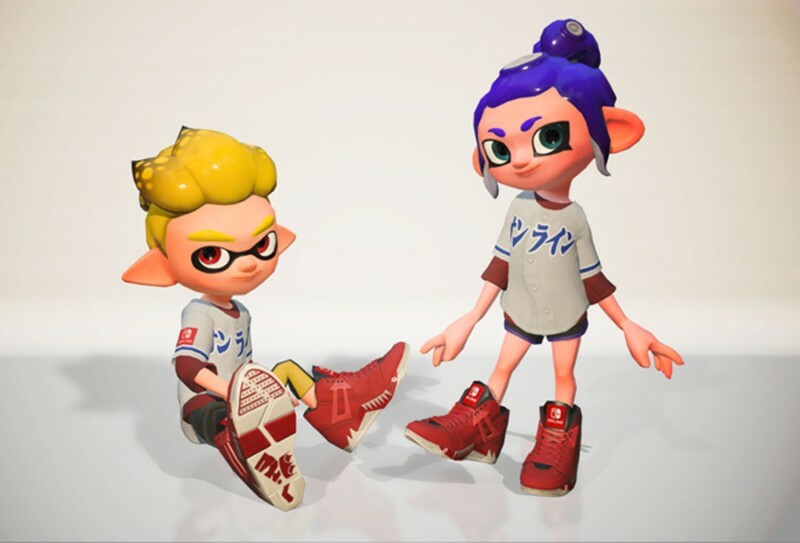 In October, you will be able to download an Online Jersey and Online Squidkid V Shoes (seen above). The more interesting special offer, however, is related to the new wireless Switch NES controllers. The $59.99 controllers will be available exclusively to Switch Online subscribers. The controllers will begin shipping in December and the fine print reads, "Limit one purchase per Nintendo Account with paid Nintendo Switch Online individual or family membership. Offer not available for trial membership." That means the family membership, which allows up to 8 family members to share one account, will only be able to buy one set of two controllers. Nintendo's online service launches September 18. You can find the pricing options here. This is definitely surprising. I suppose the only people who would be able to take advantage of the controllers are those subscribed to the service to begin with, but the limitation on purchasing options pretty much guarantees they will be hard to come by. The limitation on family accounts is troubling, too, but on the plus side, it could theoretically prevent scalpers from buying eight controllers with one online account to flip them on eBay. I suppose we will find out in December.